Alien Motorsport -car club was first put together by two gearheads in 1995. The actual association Alien Motorsport ry (ry = registered association) was founded in 1997. We are a Finnish car club, stationed in Helsinki, Finland. 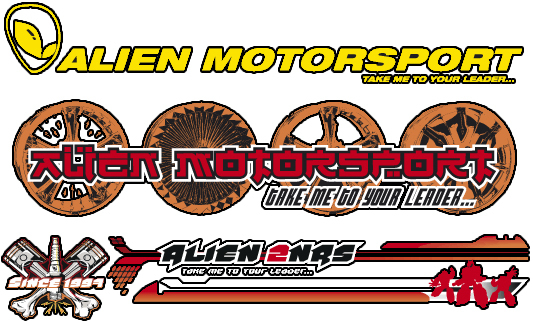 We started by the name Alien Motorsport and later formed the name Alien Tuners by the “Tuning Scene” in the early 2000. Well, that name got stuck. So we continue the legacy with the name Alien2nrs [Alien Tuners]. Currently the Alien2nrs crew have 6 members – all like minded car nuts!